It’s a hot Tuesday and the back room of the Castle & Falcon is cool and welcoming. 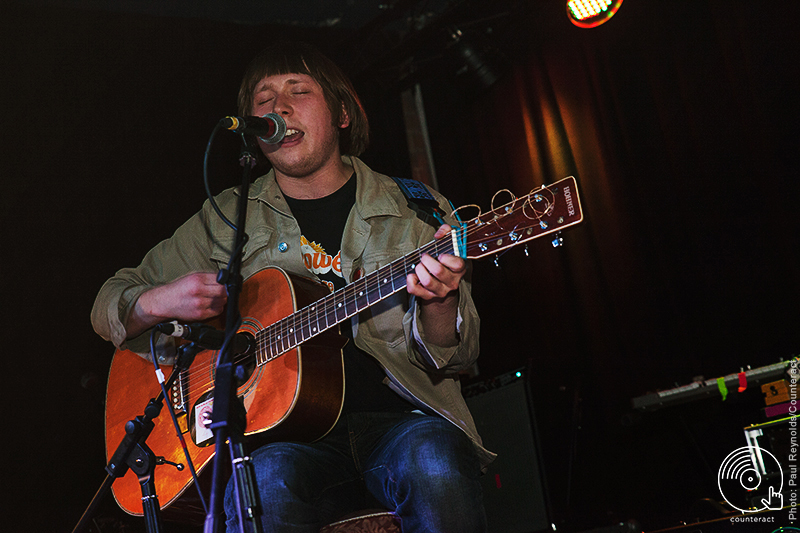 Jimmy Temniuk of local shoegaze collective Yung Jimmy’s Big Ideas begins the evening with a solo acoustic set. His relaxed stage presence and likeable demeanor get things moving nicely, and play well with his Jarvis Cocker-esque speak singing. Temniuk seems perfectly at home as a solo artist, and his setlist translates well too. A false start prompts some giggles from the trio of backing vocalists. Lions of Dissent are unphased, launching into their set with dubby bass and swirling synths. 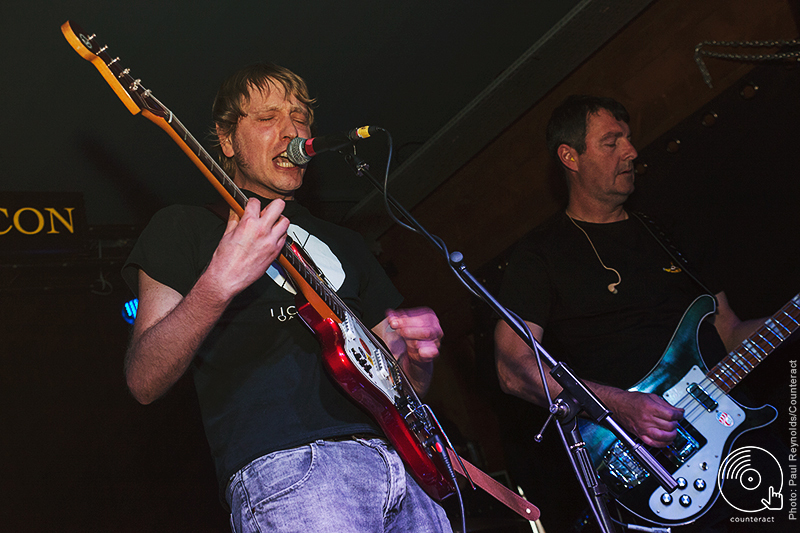 The frontman’s vocals have a decidedly britpop sneer to them, so it comes as no surprise that they’ve found fans in Primal Scream’s Simone Marie Butler and The BJM’s Anton Newcombe. 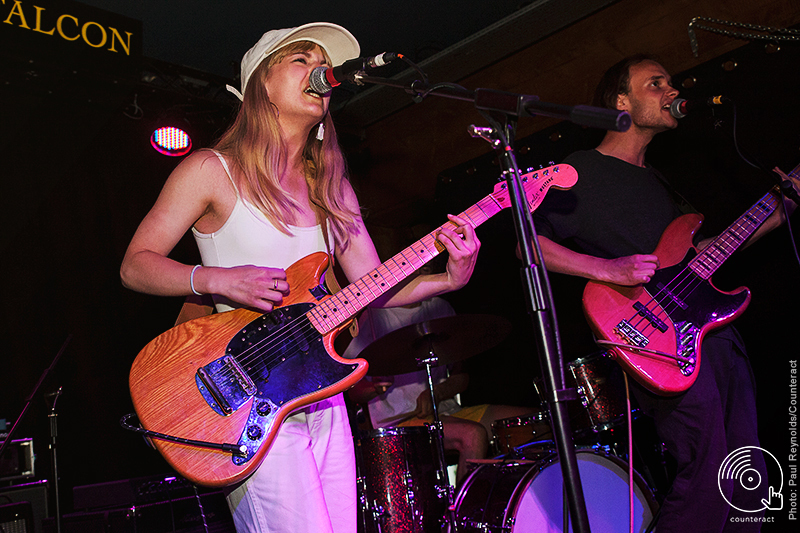 Their indie-reggae sound is tinged with grunge. Hailing from Brighton, Thyla are the main support tonight. Frontwoman Millie Duthie’s ethereal vocals cut through the wash of shoegaze guitar. Tracks like the drowsy “I Was Biting” ring with My Bloody Valentine levels of reverb. The crowd sways along. Thyla are impeccably rehearsed; for a band that have recently supported INHEAVEN, Sunflower Bean, Yonaka and Dream Wife, you’d expect nothing less. The crowd are suitably mellowed out when L.A. Witch take the stage. The understated trio match that energy. Their sleazy, smokey garage rock is straight out of California. Early in the set they pull out the ominous “Kill My Baby Tonight”, the opener of their self-titled 2017 album. The dark surfy guitar line echoes off the walls. The crowd are transfixed. 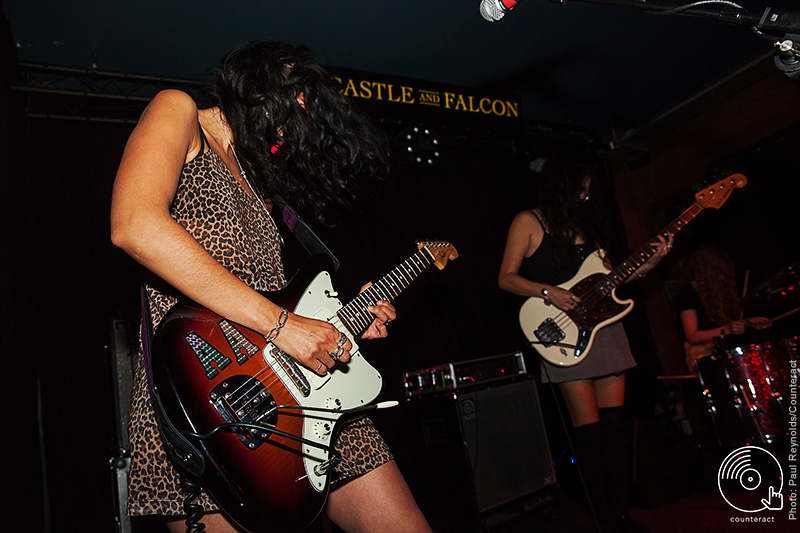 L.A. Witch sound stripped back and refreshingly unpretentious. The wailing riff of ‘Brian’ speaks for itself, and when they play their 2017 breakthrough single ‘Drive Your Car’, it goes down a storm. 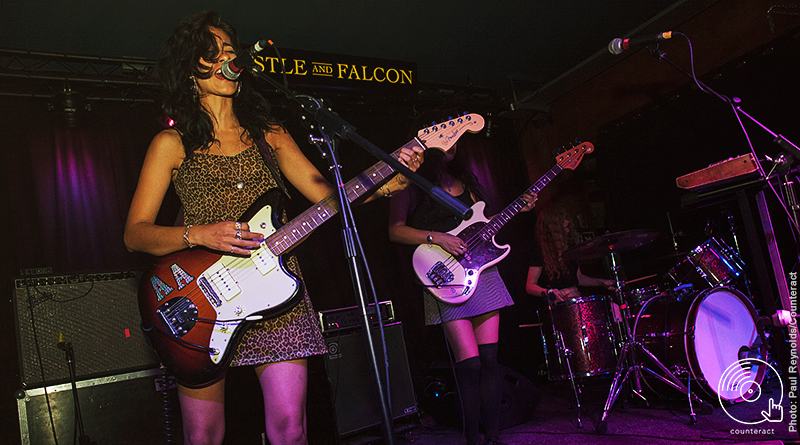 L.A. Witch seem sulky on stage, but their quiet confidence is justified. Another top night thanks to local promoters Killer Wave and Sonic Gun.